Miscellaneous: Fluent in Korean, Japanese, and English. She studied abroad in New Zealand at ACG Parnell College. MBC documentary on Koreans living abroad in New Zealand, 2012. YGEntertainment Youtube Channel posted on Aug 29th, 2012. YGEntertainment Youtube Channel posted on Jan 20, 2013. Miscellaneous: Childhood friends with GOT7′s Bambam. Lisa along with Got7’s Bambam and Ten (Sm trainee) were part of the dance crew ‘We Zaa Cool’. First foreigner to debut under YG entertainment. Miscellaneous: Born and raised in Melbourne & Box Hill, where she attended Canterbury Girls Secondary College. Newly debuted girl group BLACKPINK is slaying the charts with their two new tracks! BLACKPINK made their debut on August 8 at 8 p.m. KST with the release of their songs “BOOMBAYAH” and “Whistle” off their debut single album “Square One.” Within only an hour, the group was already at number one on four realtime music charts. The two songs were at first and second or first and third place on Genie, Mnet Music, Bugs, and Olleh Music within an hour of release. On Naver Music, they took sixth and tenth place by that time, and “Whistle” was in eighth place on monkey3. On Melon, they sat at eleventh and fifteenth. As of 11:20 p.m. KST, over three hours after their debut, “Whistle” is still holding the top spot on Genie, Mnet Music, Bugs, and Olleh, while “BOOMBAYAH” sits at second on all four charts. “Whistle” is in first place on Naver Music with “BOOMBAYAH” in third, and “Whistle” sits at ninth on monkey3. Meanwhile on Melon, “Whistle” is in third place and “BOOMBAYAH” is in eleventh. Which of BLACKPINK’s debut tracks is your favorite? Just debuted and already topping charts!! YG's IG Update. "#BLACKPINK #DEBUT #SQUAREONE #BOOMBAYAH #WHISTLE #iTUNES #NUMBERONE #11COUNTRIES #TOP40in40"
Just dropping by to show my support. 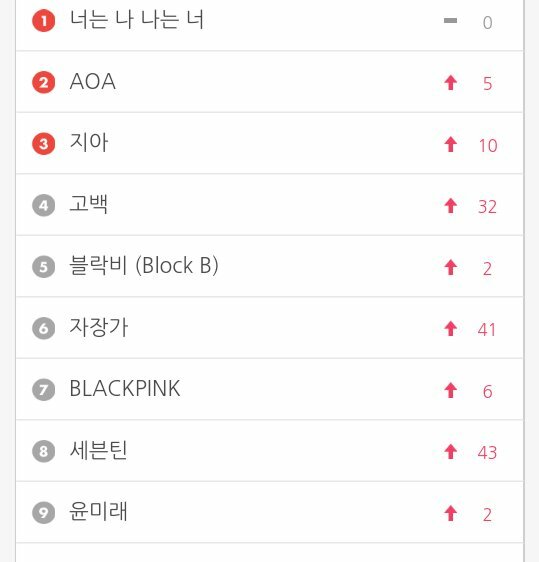 BLACKPINK still #7 on MelOn real time search !!! Right off the bat, the rookies have made a splash in K-pop, topping real-time, daily, and international iTunes charts. Xports News reports that Yang Hyun Suk brought four choreographers from abroad on board for BLACKPINK, and personally selected the moves that he liked, further exciting fans for the upcoming debut performances. “Inkigayo” airs on August 14 at 3:40 p.m. KST. Keep streaming, especially for Whistle!! Go, go! FACT: I will lose my mind over BP's debut stage. Inkigayo cameraman better not ruin this for me. 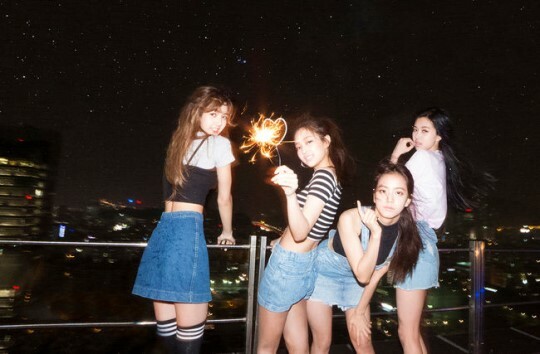 YG new girlgroup BLACKPINK achieve an all-kill in every music chart only 4hours after release. 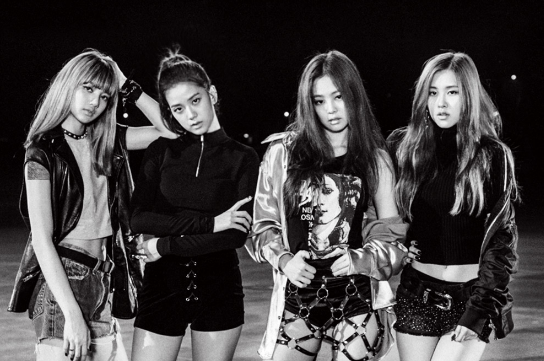 They revealed their new songs titled "BOOMBAYAH" and "Whistle" on last Monday 8th August. Among these two title songs, 'Whistle' ranked #1 on Melon, Genie, Mnet, Bugs, and other various music charts within 4 hours only. [+2833,-620] When you listen to Whistle the first time, it's like ' what is this?' but when you listen to Whistle continuously it is a very addictive song. It has an non-rookie aura..
[+175,-17] Since Ive listen the song through the MV, i shall watch it on live stage at least once right? JISOO’s hand written letter for the fans and the girls’ autograph. [REMINDER] DONT FORGET TO VOTE HERE! It will help BLACKPINK score on MCDs "Popularity Rating" which is 10%. 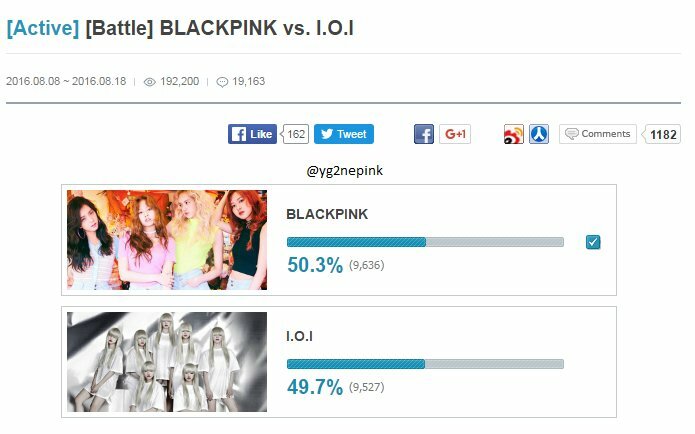 BLACKPINK VS IOI. NOTE:: Guys, Dont forget to use and trend the hashtag #WelcomeBLACKPINK tomorrow! 4. [+386, -70] Are they manipulating YouTube too then? How are the people who are saying Beul-Ping (T/N: Korean nickname for Black Pink because they are Beul-Laek-Ping-Keu) is manipulating things going to refute this? Black Pink Jennie showed her fighting spirit. On 12th Black Pink recorded their first debut stage on SBS Inkigayo, which will be aired on 14th. After finishing recording “Whistle” and during doing rehearsal for “Boombaya”, while dancing fiercely member Jennie sprained her ankle and suffered an injury. In the emergency situation, Jennie was immediately sent to hospital for a check-up. According to a participator, Jennie couldn’t stand on her own feet and had to give up recording. But Jennie somehow expressed her will to stand on the stage until the end. Eventually, it was said that Jennie had received painkiller and climbed up the stage to finish recording. Meanwhile Black Pink’s earlier debut on 8th has been sweeping all charts both domestically and internationally, which is a unprecedented feat for any rookie group to get. “Whistle” and “Boombaya” stages will go public on 14th through Inkigayo. [+131,-6] They went though so much hardship to stand on debut stage but... Because of darling the members must have been affected and gone through a hard time. Hope you will recover soon. [+116,-8] I hope you can recover quickly. Korea fighting! [+108,-8] This was the first stage so they must have been hurt and tired and it could have been a lot worse. Let’s fly high. 3. [+1,453, -168] The song itself is good and the kids look so feminine with good music harmony. They have charms that both men and women will like~ I hope they keep this up and don't lose their roots. 5. [+329, -42] Yup, 'Whistle' is pretty good..
8. [+254, -31] I didn't like the song at first but now I see myself becoming a fan. All four are pretty and talented.